/ Flipp Ninja Review – Earn $100/ Daily For Only 5 Minutes A Day? Nasty TRUTH Exposed! Flipp Ninja Review – Earn $100/ Daily For Only 5 Minutes A Day? Nasty TRUTH Exposed! Quick Summary: Flipp Ninja is an online course that claims to help anyone, even newbie, earn money within 24 hours, with “little work”. It says that it’s a copy-paste job you can do if you want to earn $25-$100 and that you don’t need websites or domains, to begin with. The sales page alone has a lot of RED FLAGS to watch out but can this product really deliver? Gone are the days when making money online is an impossible task; now, there are a lot of programs that help every marketer and entrepreneur create a source of income without the need to go out. The questions are: is Flipp Ninja one them? Can you really make money within 24 hours? Is Flipp Ninja a scam or a legit program you should trust? In this honest Flipp Ninja review, you’ll have the answers you need. I’ll also point several RED FLAGS so you can decide whether you should purchase Flipp Ninja or not. What Is Flipp Ninja About? No website needed? Really? But on their sales page, it says that you will set up “Site A” and go to “Site B”, so which one is true? If you’re confused, I feel the same but before we frustrate ourselves, let’s find out what Flipp Ninja is really about first. Flipp Ninja is an online training course about arbitrage, which, by the way, is a legit business model that lets marketers purchase from a cheaper market and sell it in other platforms on a higher price so they can earn profit from the difference. On their sales page, it says that you can “start today” and earn “your first profits by tomorrow”. It also says that you only need to take out 5 minutes of your precious time every day and make $25-$100 daily. I know it sounds like a tempting offer but before you decide, continue reading the whole Flipp Ninja review first. If it’s your first time to encounter such products, you might instantly conclude that this product is awesome because imagine, you only need less than 30 minutes to earn a good amount every day. The sales video may convince almost anyone easily because the woman made it sound like a very simple task; however, she didn’t really bother explaining what this program is about. Apparently, all you need to do is “copy” a listing, “paste it and earn $80 profit on each sale. Is Flipp Ninja A Scam? Flipp Ninja is not a scam. It is a legit program that may teach you a few values you can use when you want to make money online. 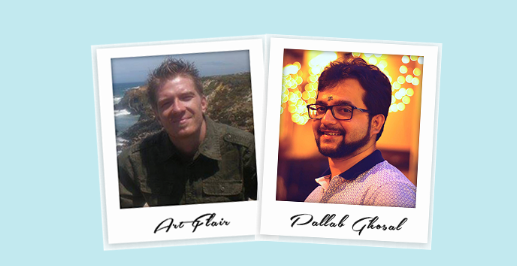 It was founded by two well-known marketers, Pallab Ghosal and Art Flair. These two are using real names -- and not just any pen names, so is there really anything to worry about? First of all, this is not true, and any businessmen, marketers, and anyone who made money know that. Everything takes time and considering that there are 12 modules present in this program, you can’t just make money within 24 hours. You have to understand the training, you have to find vendors to make it work, and of course, you have to look for clients who will buy your items to make it work. Do you really think anyone can do this in one day and earn asap? 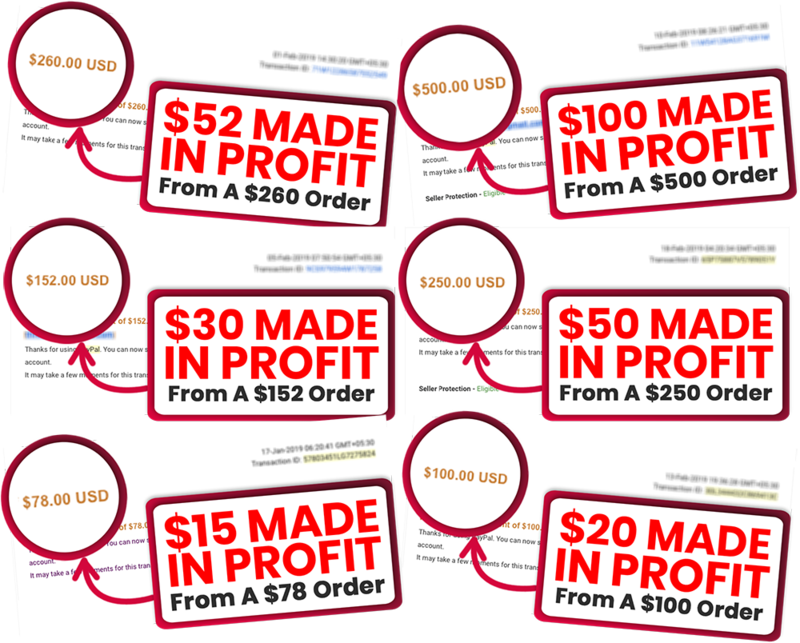 $25-$100 Profit the same day!”, there are photos of supposed-to-be-profits collaged together but it wasn’t even explained. It’s not clear whether this is a result of using Flipp Ninja or not. The only thing clear in the photos were the numbers and the circle but other than that, nothing else. You cannot use just take 5 minutes of your time working and expect a huge amount afterward. Again, you have to look for vendors and clients, create a deal, and make sure that you can close it so you can earn real cash. Considering this, you cannot make passive income out of it unlike other types of business. That means if you’re not working and closing deals, you cannot make money, too. If you want a real system that lets you earn and learn at the same time without all these BS, you should consider my top recommended program. While it won’t promise an overnight wealth, it can help you create passive income in the long run as long as you’re willing to put hard work first! On the lower part of their sales page, you’ll see “testimonials” of people who have used Flipp Ninja; however, if you look at them closely, these are internet marketers, too. While one of them recommended Flipp Ninja, none of them directly said that they’ve used it to make money, so how can you trust these testimonials? How would you know that they have even used it in the first place? Anyone that promises to help you earn an insane amount with only little required is clearly lying. For sure, a lot of marketers and businessmen would disagree with this because you cannot really make money if you don’t put hard work in it. I know I’ve mentioned this before so don’t want to sound repetitive so I just want to say that you should think twice, thrice, or a lot of times before you purchase this...don’t. On the part where their price is posted, you will see a timer on top of it which is supposed to say that you need to buy the product asap or… the price might change. The funny thing is, when you close their page and open a new tab and visit their site again, the timer’s countdown will begin again. I’ve seen a lot of low-quality programs do this strategy -- that fake sense of urgency -- to put pressure to their potential buyers and make them think that they might miss a real deal. Well, it’s 2019 guys and things like this don’t simply work anymore. Supposedly, it costs $47 but the price is discounted to $12.97, which, by the way, has been the rate ever since it’s launched so just ignore the timer. As the title implies, someone has done the hard work for you and all you need to do is use whatever this package is all about. The platform will tell you little to nothing about what you are doing so even if you’ve already purchased the program, you’ll barely have any idea about this. Same as the upsell above but only without the music and stock images. This add-on will let you run Facebook ads and again, you’ll NOT get any details about how you will get this “unlimited traffic”. This allows you to sell Flipp Ninja as your own product. This add-on gives you additional “advanced training” and 8 case studies done to show you their own campaigns. The same thing above but with only 5 case studies. Again, ignore these upsells no matter how appealing it sounds. 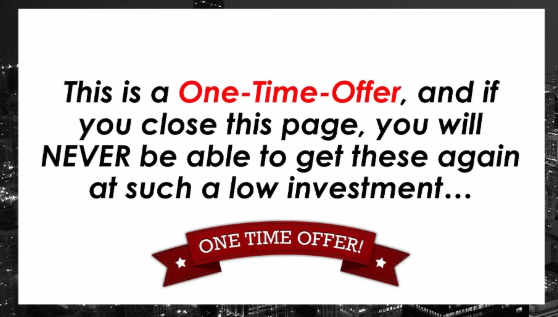 Some upsells might tell you that you’ll never have these offers again but in reality, there’s a tab on their dashboard that allows you to go back to their upsells. Again, arbitrage is a legit business model and you can really earn money out of it. Perhaps, one of the very few things I like about Flipp Ninja is that it will give you a basic introduction about it and perhaps since you have an idea, you can just ditch their website and find a free training online about it. In case you purchased or are planning to purchase Flipp Ninja, you can have it refunded within a month if you think the product doesn’t deliver. The things I mentioned above may be enough for you to realize that Flipp Ninja is nothing but a lie. Okay, I might take that back because you can still find very little value about it but if I were you, I will really assess everything first. After all, there are a lot of free training material and programs online with little to no lies at all. No, you can’t make money in 24 hours in just 5 minutes. No, it’s not for beginners. And no, their claim: “No one else really does what you will” is simply not true because there are a lot of marketers making money with arbitrage already. Although you can skip all those upsells, I just don’t like programs that include a lot of add-ons because there will still be people who will purchase those and realize that these additional programs are useless. If you’re new to internet marketing and you want to learn how to make money, whether through arbitrage or other methods, Flipp Ninja is not for you. You need to learn the basic of arbitrage first, perhaps acquire a few technical skills so you can fully understand the training. Tired of Scams? Me Too! But I'm so grateful that I was able to find THIS PROGRAM which helped me a lot in this online business journey! 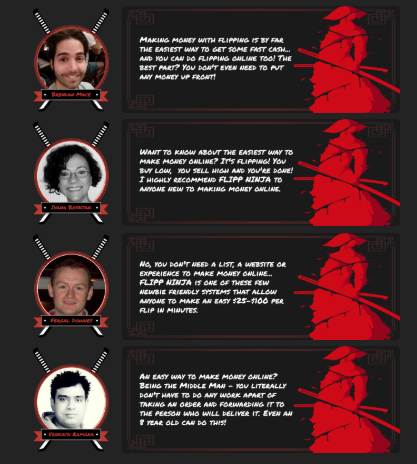 Honestly, with too many RED FLAGS, I can’t recommend Flipp Ninja at all. I feel like you will just waste your time on it and when this happens, you cannot simply bring it back. What I recommend, however, is my top recommended program. Just click the link and you’ll have everything you need to know. No bold claims. No lies. Just real information. To be clear, Flipp Ninja is not a scam, although there are a lot of RED FLAGS that you should take note of. It provides very basic training to its users which you can get online, for free. So if I were you, I’d rather waste my time and money on a program that will really help me improve my skills and expertise. These are just some of the benefits you can get from the very promising system I am using now and should you have any concerns or comments, please feel free to share it below.